Women of Marvel will always jump at the chance to inspire women and girls who could be future creators. 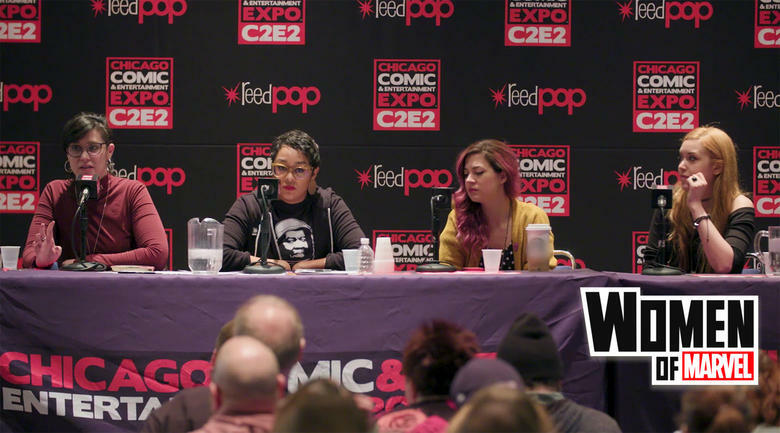 This year's panel at the Chicago Comic and Entertainment Expo served just this purpose, with hosts Sana Amanat and Judy Stephens hosting four Marvel creators to talk about how they broke into the industry. Writers Eve Ewing and Tini Howard -- who made the announcement that she's now exclusive to Marvel -- joined artists Jenny Frison and Ashley Witter to share some stories, advice, and wisdom with an audience of aspiring storytellers and fans. The Women of Marvel podcast assembles to chat all things Marvel and more! New episodes will be released every other Thursday, co-hosted by Marvel VP, Content and Character Development Sana Amanat and Marvel.com Producer Judy Stephens. You can find Women of Marvel on Marvel.com/podcasts and Apple Podcasts. Have feedback or questions? Email us at WomenOf@marvel.com, or tweet your questions and comments to @Marvel with the hashtag #WomenOfMarvel.